Alien Game Coming Soon From Cold Iron Studios | Nerd Much? Cold Iron boasts extensive experience in games like BioShock Infinite. 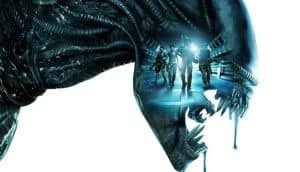 CEO Craig Zinkievich looks forward to “the opportunity to explore an amazing and rich universe.” Alien is a world that lends itself well to the skills of Cold Iron, which includes the talents of CTO Shannon Posniewski and creative director Matt Highison. More information will be shared soon. For now, all FoxNext mentioned was that the gameplay is that it will be a shooter. “Shooter” is a vague enough term that the game could be anything from a stealth horror like Alien: Isolation or a more aggressive shooter like Dead Space. That said, past Alien game stories are rarely a part of the cinematic universe. Most found it easier to simply make up a new story or turn a recent movie into a game without adding anything new. FoxNext makes this new title sound like they want to add to the current universe, much like Planet of the Apes: Last Frontier. It will be interesting see where they choose to place the game, which characters are from the cinematic universe (if at all), and how the game will add to the current Alien mythology as we know it. With so many new films currently in development from Ridley Scott himself, it might be difficult to remain within the correct cinematic universe. Big changes are coming to the mythos, as Scott has made it clear he holds no love for the sequels made without his director’s touch. What would you like to see in an Alien game? What genres and previous game ideas should Cold Iron pull from? Let us know your thoughts in the comments below.